DERMA-E has been making my skin sing with love for quite some time now. 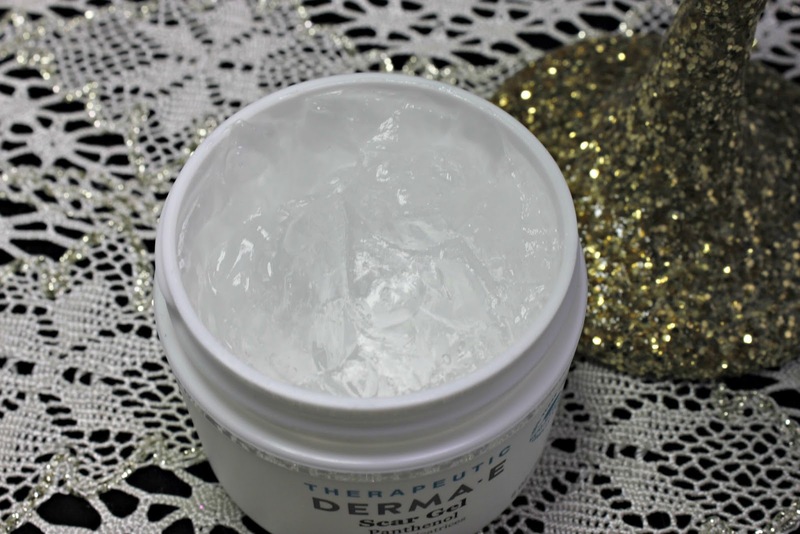 Every time I have had a new a problem pop up, Derma-e has come to the rescue. This time, I got to share with family members. My husband and my daughter got to benefit from these two wonders! My daughter has periods of eczema that is very stressful and uncomfortable for her. She's six years old and has super sensitive skin to begin with. 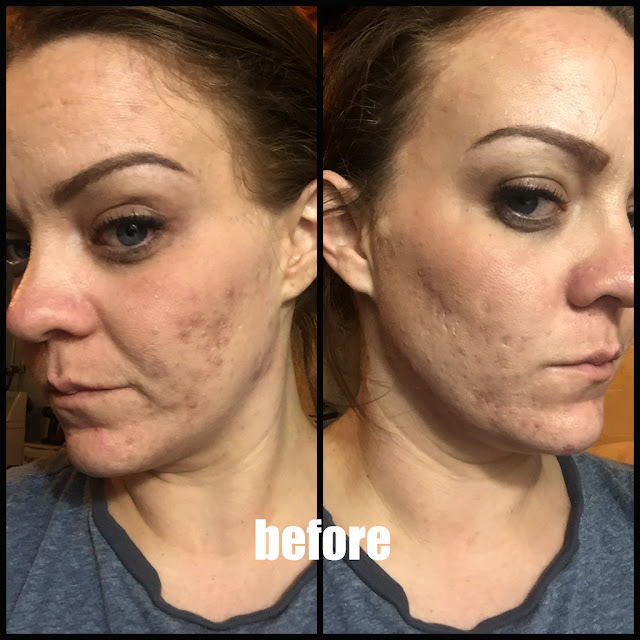 When this product came across my doorstep, I was so excited to be able to try it on her. She, at the time, happened to be having a flare up so it was perfect timing. I do have prescription products to use on her, but they are so expensive and have side effects. I would much rather use something that is under $20 and made with vitamins and herbal extracts. 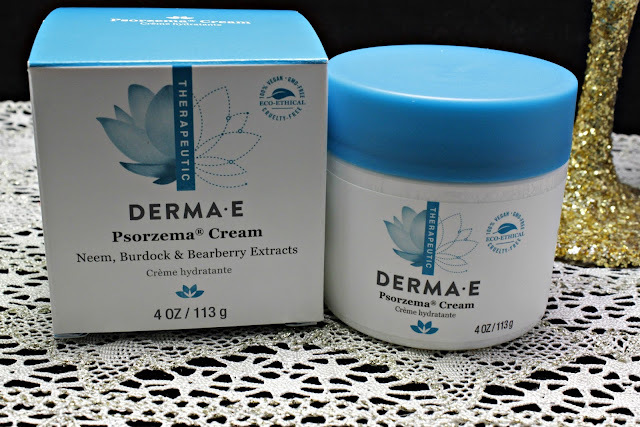 The Psorzema Cream is made with ingredients such as Neem, Burdock, Bearberry, and Vitamins A and E. They all help soften and soothe dry, irritated skin. The way I applied the cream was by a cotton ball directly to the skin. I let her sit for about 20 minutes to let it really soak in. 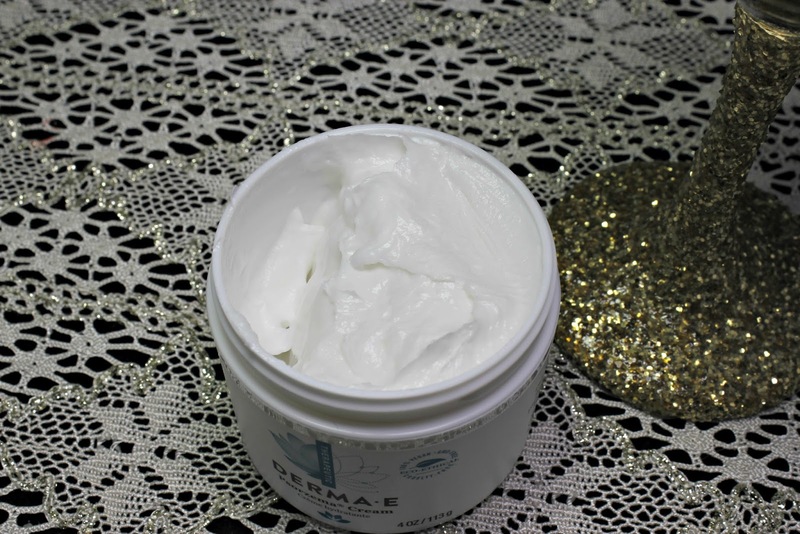 The Psorzema Cream does not contain an steroids or tars like the typical treatments. It is also 100% vegan, cruelty, paraben, sulfate, mineral oil, lanolin, gluten and GMO free. All things that make me feel confident in using it on my little sensitive skinned daughter! Let's talk scars really quick. There are scars that you have had for years and there are scars that you just got and are fresh, pink and still healing. It is always best to start using a scar treatment as soon as you can, but you don't want to use it on an open wound. This goes for open acne marks, as well. With that being said, you can still use this on older scars, it will just take longer to see a difference. I have used this on my face and on my husbands scar on his back. He had surgery about 5 months ago and I have ongoing scarring issues. I used this once in the morning and once at night on my face and also on his back. While we are still in the process of healing, I have seen a difference in both of our scarring. 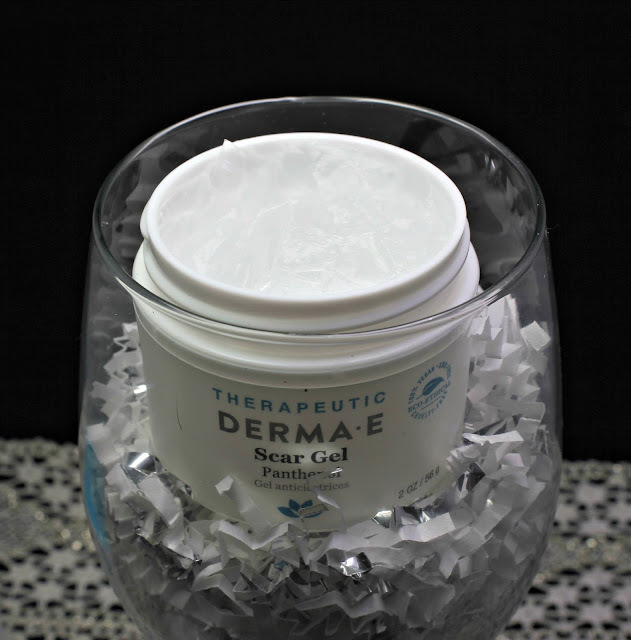 I will be posting an after the DERMA-E Scar Gel look after a full 6 months of use, so stay tuned on SnapChat and Instagram! I was very nervous when using the DERMA-E Scar Gel because my face is so sensitive. It breaks out at any deviation of my skincare routine. I used the Scar Gel prior to my moisturizer to make sure everything stayed on my face. I didn't have any issues while using this, at first. I did have to adjust my moisturizer because I was feeling a little weighed down, but it was tolerated well after that. Also, the saying "a little goes a long way" is very applicable when using the Scar Gel. This is great because this giant 2oz tub can last quite a long time. For under $20, it's a great value! Some ingredients in the DERMA-E Scar Gel include Allicin and Panthenol. Allicin is from an onion bulb that helps break down scars and produce healthy skin. 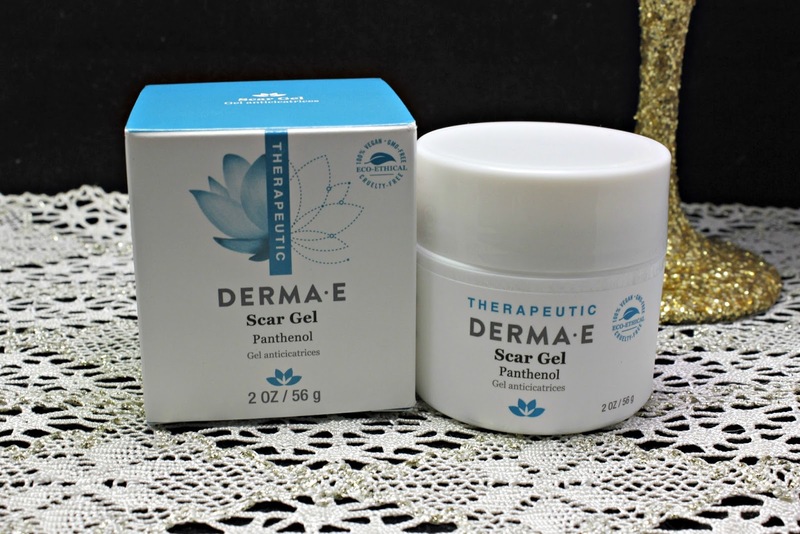 Panthenol is a vitamin B that also helps with breaking down of scars and other skin hardening issues. Along with it's sister product up top, it's 100% vegan, cruelty, paraben, sulfate, mineral oil, lanolin, gluten and GMO free! Both of these products are awesome! I am so happy that they have been introduced to me and my family. If you have any issues that these can be used on, I really feel that it is worth the $20. 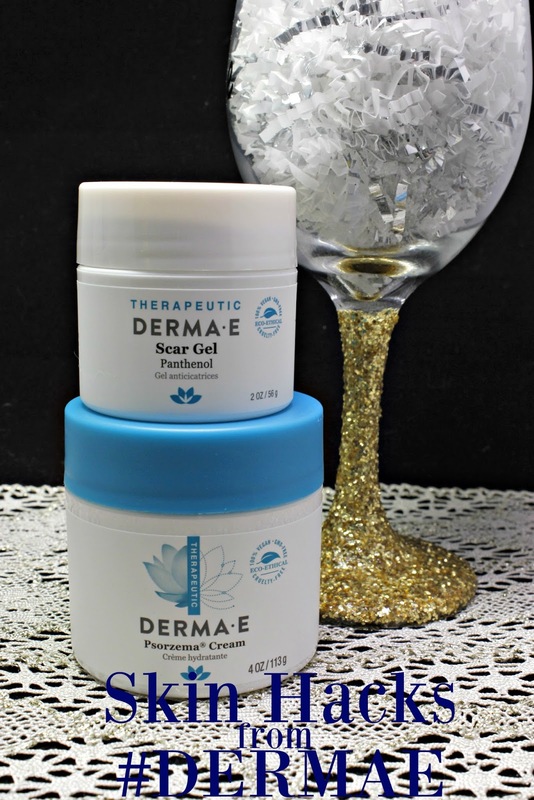 Check both of them out at dermae.com.